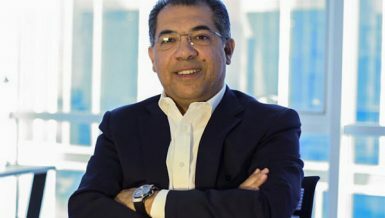 Chairman of the General Authority for Investment and free zones (GAFI), Alaa Omar, said that amendments on the investment law will be done before the end of this year, asserting that negotiations with both the taxes and customs authorities have succeeded, and that they are in full agreement now. 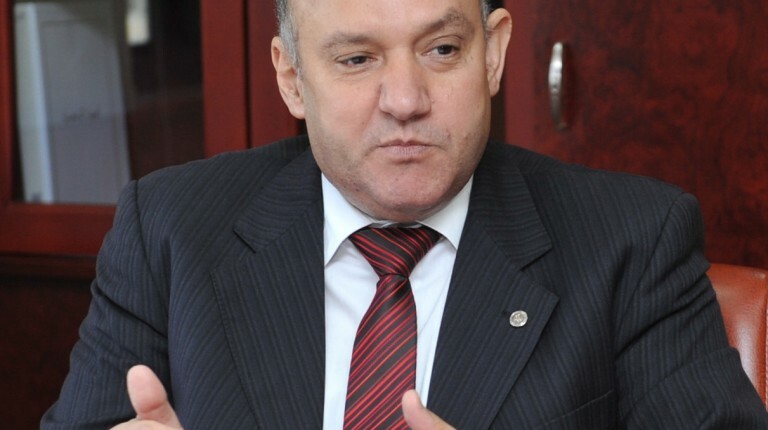 He added, in an interview with Daily News Egypt, that there is a new suggestion to implement the project of the new administrative capital through the system of special economic zones. However, he asserted that the suggestion is still under study. Omar believes that the Egyptian pound still does not reflect its real value, but the optimistic expectations about the Egyptian economy, the dollar revenues growth and the direct foreign investment will improve that situation, in addition to the monetary policies that support that trend. The Ministry of Investment ruled out 65% of the projects presented by seven governorates to be proposed in the Upper Egypt Investment Conference that is intended to be held next November in Hurghada. GAFI received 194 investment opportunities from the governorates of New Valley, Beni Suef, Sohag, Qena, Aswan, Fayoum, and Luxor. It approved proposing only 67 projects at the conference, for the lack of readiness of the other projects. GAFI held meetings, last week, with all the governorates of Upper Egypt, and both authorities of Industrial Development and Tourism Development, and the National Center for Planning State Land Uses, in addition to a number of advisory bodies. The meeting aimed at looking into the viability of the projects that would be proposed in the conference, and the bodies that have authority over the lands the projects would be launched, as a prelude to prepare them to be proposed. What about the important investment opportunities that are ready to be proposed? GAFI decided to propose 30 investment opportunity in the New Valley governorate, out of 68 presented projects, and 9 projects for Beni Suef, out of 41 presented opportunities, in addition to 6 projects for Sohag, out of 23 presented projects, total. We decided to propose as well 6 projects for Qena, out of 12 opportunities, and 5 projects for Aswan, out of 14 presented opportunities, in addition to a project for Fayoum, out of a total of 22 presented projects. As for Aswan, GAFI decided to propose 11 projects, out of 17 presented projects. It is decided that GAFI will hold a meeting, this week, with the representatives of the governorates of Assiut, Minya, and Red Sea, to rule out from the conference the projects that are not ready. The governorates are obliged to present all the data of the projects that they did not agree with at the conference, after one week from their meeting with GAFI. GAFI would then present them to private advisory bodies to conduct initial feasibility studies before the end of this month. GAFI is making agreements now with a number of advisory bodies that offered their services to conduct the studies, voluntarily to start working in cooperation with some of GAFI’s experts and employees. Will these projects be promoted externally? GAFI will send the projects’ feasibility studies to a number of targeted companies in some of the Arab, Asian, and European countries, in the beginning of next October, in order to encourage them to contribute to the new projects. We will not present the projects to the investors at one time through the conference. We should first pave the way to determine the targeted investors and their investment orientation. GAFI gives priority to presenting the projects of agriculture, harbours, logistics, and electricity during the conference. It targets promoting its projects in China, Japan, Korea, Singapore, Malaysia, Indonesia, as well as Emirates, Saudi Arabia, Kuwait, Jordan, England, France, Germany, and Italy, before holding the conference. What about the negotiations with both the taxes and customs authorities on the special free zones? I agreed, principally, with the Customs Authority on restoring the special free zones under new regulations, and with activating a number of the old regulations in order to reassure the Authority, explaining that both parties agreed on cancelling the outgoing fee, and represent the customs in the technical committee of the free zones, which approves launching the free zone, and the committees of monitoring and inventory. The Customs Authority demanded improving procedures that were already effective. We suggested installing cameras in the special free zones, like the general free zones, in addition to increasing the security shifts, making them two… and activating procedures that were not activated in a way satisfying it, and in a realistic manner. This is what we agreed on. The Customs Authority targets to increase the percentage of the local component in the final product for the projects of the free zones. So, it does not make sense to impose an outgoing fee. The trend now in GAFI is to cancel the outgoing fee on the local component that enters the free zones for manufacturing. Amendments on the Investment Law are waiting for these articles; when will the amendments appear? GAFI and the Customs Authority agreed on amending articles 29 and 32 of the Investment Law. Both parties would present the issue in its final form to both ministries of investment and finance. The minister of investment agreed on all the amendments. Meeting on higher levels will be held to restore the free zones, and we hope to solve the disagreement of opinions. We reached an agreement about all the points of disagreement, we agreed as well on a specific protocol. It was sent to the Customs Authority to study it, and now we are waiting to know their opinion to decide over the matter. Agreement of the economic group in the cabinet on the amendments of the Investment Law will be reached before the end of this year; the issue will be discussed in the meeting of the ministerial group, in the next period. What about the investment projects that are waiting for the amendments of the special economic zones? GAFI has 13 demands from Arab and foreign investors to launch huge projects through the system of the special free zones, conditional on the agreement on the amendments of the Investment Law. We are waiting for approval to restore the free zones to agree on implementing the projects, although they submitted their demands before the law, but it is not reasonable that the body enforcing the law to violate it. 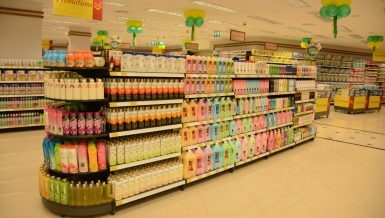 What about the request of the Emirati company, Al-Nowais? The demands include a project for the Emirati Al-Nowais to build a solar energy power plant, with initial investments estimated at about $60m, in the area of Oyun Musa. The company does not object to transform its request to the internal investment instead of the free zones, in case the amendments on the Investment Law would be rejected. What about the general free zones? GAFI tends to expand in the general free zones in parallel with its desire to restore working through the special free zones. The Ministry of Investment intends to submit a memo to the cabinet to approve launching general free zone on 300 acres in Minya. GAFI plans to make the new free zone specialised specifically for the sectors of food industries, mining industries, electrical and electronic devices, and new and renewable energy. 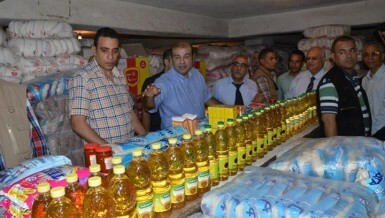 GAFI received suggestions from both governorates of Fayoum and Assuit to launch two general free zones. It is waiting now the maps of the proposed lands to look at them. We have 21 industrial zones in Upper Egypt. It is necessary to develop Safaga port, and to launch container terminals and dry ports in the next period, to guarantee the success of the new free zones. GAFI has signed a cooperation protocol with the Taxes Authority, last week, in order to facilitate the investment operations in the investment services complexes. He explained that according to the protocol, the investor would be able to finish the procedures needed for establishing his company through a single window (establishment lawyer) that finishes all the procedures. According to the protocol, the Taxes Authority will issue a new national tax card, not made from paper, like the national ID card, and the companies will have national ID. What is the volume of the direct foreign investments that are expected by the end of the current fiscal year (FY) 2015/2016? I expect the direct foreign investments to reach $7.5bn during the last FY. They amounted to 5.7 in nine months, and I expect them to increase to $10bn by the end of the current FY. 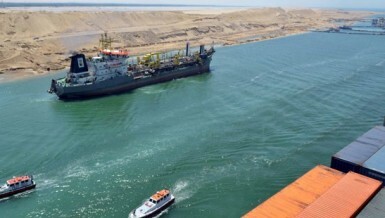 Egypt exceeded the stage of the bottleneck and the problems, and we have four national projects: the Million Acres, the Golden Triangle, Suez Canal Axis, and the Administrative Capital. All of that requires huge foreign investments, besides the regular investments. 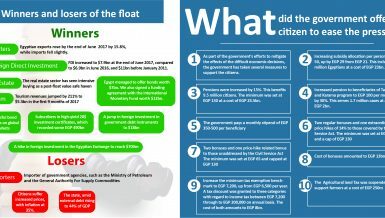 What about the rates of establishing companies? GAFI registered the highest rate of establishing companies in the last period, where the number of companies established increased from 25 per day to reach 45-50. Moreover, 843 local and foreign companies increased their capitals with about EGP 25bn between January and the 30 July, compared to EGP 31bn in all 2014, where 31 companies increased their capitals with a significant increase than 2013 that registered only EGP 10bn. The Commercial International Bank (CIB) increased its capital with EGP 94m, Chloride Egypt with EGP 60m ASEC Cement with EGP 60m, AXA Investment Egypt with EGP 55m, Wadi Degla with EGP 125m, Piraeus Bank with EGP 178m, and Orchidia Group with EGP 177m. The committee of settling disputes affiliated to GAFI will hold a meeting this week to solve 18 investment disputes. It settled about 15 disputes by the end of the last month. What about the crisis of the energy shortage and the investors’ questions about it? 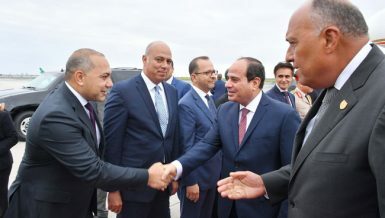 Investors’ concerns about the energy shortage started to disappear when the government started to implement its plan of diversifying the energy sources and combining them, asserting that President Abdel Fattah Al-Sisi stressed during the Economic Summit in Sharm El-Sheikh on the importance of starting the energy project quickly. The last new gas field discovery in Egypt will make the government able to propose new licenses for steel and cement, and making expansions in the energy-intensive industries, in addition to the new gas exploration agreements that we did not see their results to date. How do you see the crisis of foreign exchange shortage, and does the Egyptian pound reflect its real value? The Egyptian pound is still not reflecting its real value. However, I am optimistic about the flow of more foreign investments in the foreign exchange to Egypt, in addition to the increases in the country’s revenues in the foreign exchange as a result of enhancing tourism, and increasing exports. Of course the situation where the pound does not reflect its real value bother investors, but the next period will witness enhancement in that issue, as a result of the reforming of the real economy. What about the New Administrative Capital? One of the scenarios of implementing the project is to work through the system of economic zones, but it is still suggestion to be studied.